A fab image, captured by Haley Sheffield, from Joy + Cody's fabulous late-August wedding was the spotlight of the Wedding Chicks Happy Hour, yesterday! While the showcased image is below, you can check out even more images of their extremely detailed and lovely affair here. Rocky Mountain Bride Magazine Cover - WINNER!! Firstly, THANK YOU to everyone who voted for Sara + Brian's image in the RMB Cover Contest! I'm thrilled to announce that THEY WON!!! You'll see this gorgeous couple grace the cover of Rocky Mountain Bride Magazine's 2014 Summer issue! Secondly, I wanted to share some insight behind the photo. 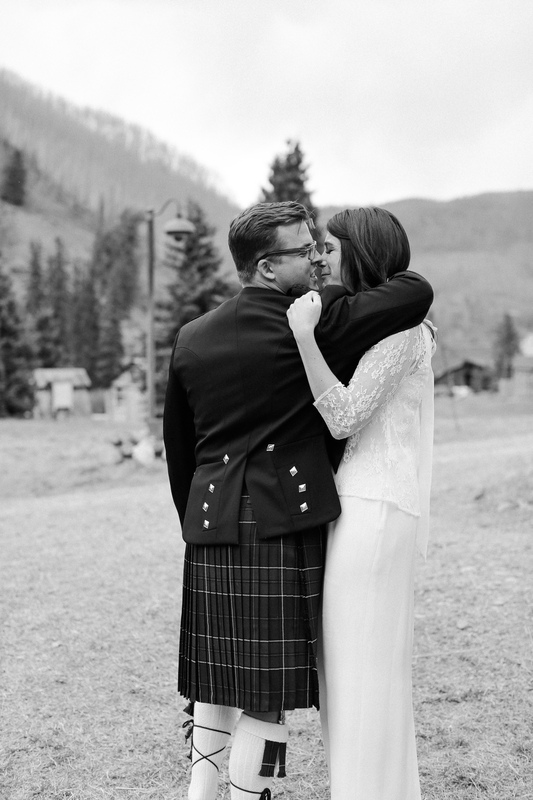 Sara + Brian had a fabulously detailed and stylish, late-August wedding in Estes Park. After the ceremony commenced, guests headed up to the pavilion for cocktails and nibbles, while Caroline (Pippin's Pictures), Sara, and Brian trekked off for the newlyweds' photo session. Immediately following that session, the couple was introduced into their reception, had dinner, and started celebrating with everyone who had joined them. Fast forward about an hour...behind-the-scenes, Caroline and myself, were commenting on how gorgeous the light was and what a glorious sunset we were about to witness. We also chatted about the difficult decision to pull our very happy and celebratory couple away from their festivities for MORE pictures in the sun-kissed light! I am SO SO SO happy we made the decision to do that, because the winning picture was from that 2nd newlyweds' session!! And...I'm sure Sara + Brian as just as thrilled that they took Caroline up on her offer for the fabulous re-do of their bride + groom portraits! Congratulations again to the happy couple and "Cheers" to Caroline for capturing such a lovely image and the cover of RMB!